Prof. Dr. Başaran Yavaşlar is the Head of the Chair of Financial Law at Marmara University Law Faculty' in Istanbul. 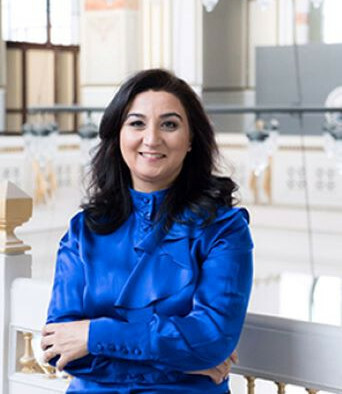 She is also the Turkish representative at EATLP Academic Committee, the director of the Division for Tax Crimes of CEHAMER/IKU, the co-founder and member of the board of the VEHUP (Platform for Tax Law). She has been teaching as a tax law professor for undergraduate and graduate students at Marmara University Law Faculty' and in Istanbul Kültür University Law Faculty'. She was a visiting professor at several faculties and departments within the Marmara University, Doğuş University, Aydın University and Free University of Berlin. Her research projects focused on constitutional framework of taxation, income tax law', corporate tax law (specifically transfer pricing and other tax avoidance tools), tax procedure law (specifically tax reconcilation and tax audit) and tax sanction law'.